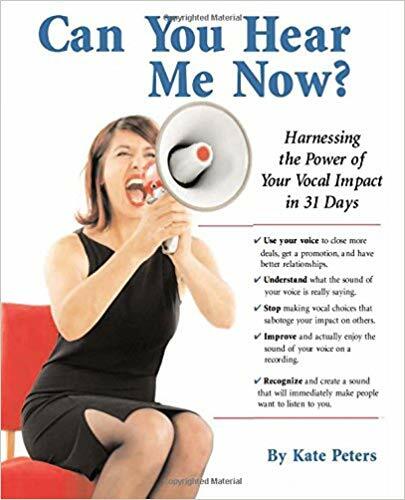 Help for Tired Voices: The 5 Habits of a Healthy Voice - Vocal Impact, Inc.
It’s 4 pm on a Thursday, and it’s been another long week of phone calls, meetings and non-stop talking. There is one more meeting on the calendar and your voice is so nearly gone that it actually hurts to speak. It takes a lot of effort to get through the frog in your throat to find the energy to say what you need to say. You do it, but when you get home, you just have to be alone or go to bed because you still have another day of this. You sigh as you remember that your weekend is probably shot, as that’s the only time you have to recover. Sound familiar? If this was a story from a teacher, I’d say that teachers often live this scenario. 10% of teachers have chronic problems with their voices. 52% of all teachers will miss work because of vocal problems such as laryngitis, or worse, due to vocal fatigue. However, these same statistics are likely to be showing up in the business world too. With the average work-day being more than 8 hours , and 70% of those who are employed working on weekends as well as weekdays, shorter lunch breaks, and more and more meetings that rely on voice to voice communication, more and more business people are experiencing the same tired voices as teachers due to non-stop talking. In addition, dysphonia caused by vocal problems (laryngitis, a crackly voice, or one with squeaks and pops) makes it more difficult for others to actually hear, and therefore, understand, what a person with vocal problems is saying. Do you have vocal fatigue? More than half of people who have to use their voices as teachers do will train their voices to tolerate such usage by gradually increasing usage, thus creating more endurance. However, the others will experience ongoing vocal problems, whether chronic or occasional. Some will eventually have to have surgery or even change careers due to damage was done by vocal fatigue. It is possible, however, to cultivate habits that strengthen your vocal folds and make it less likely that you will experience vocal fatigue. Here are five new habits you can start developing right now to create better vocal health, even if your voice is often stretched to the limit. 1. Drink lots of water. Water is essential to a healthy larynx. The larynx is a low-priority organ so it gets hydrated after the heart, brain, lungs, and skin have taken their share. If you use your voice a lot as a speaker, singer or professional, you need more water in your diet than the average person. Keep some at your desk and sip all day. 2. Rest your voice every two hours or more. Leave room in your calendar for a 15-20 minute break after every two meetings or conversations. No talking. Better yet, rest and do nothing. It takes ¾ of your body energy to make a vocal sound so a little refresh every couple of hours is highly recommended. During that time, meditate or do some office yoga. If your voice still gets tired, when you feel the fatigue start to come on, write notes to people instead of talking. 3. Avoid iced drinks. Room temperature or warm liquids will aid in healing and feel soothing to a tired larynx. You may also enjoy warm tea with honey and lemon, or you may find other non-dairy warm drinks to be soothing. 4. Speak at the right pitch. When your voice gets tired the pitch often drops because the vocal folds swell up. It may be easier to let yourself speak at this lower pitch, but it’s not good for your voice. To find the right pitch, say “mmm-hmm,” like an enthusiastic “yes.” The pitch area you use for that is the right place to be speaking. It may feel high, especially when your voice is tired, but try it. Use a pitch pipe or musical instrument to keep yourself at the right pitch level, practice this and make it a new habit in order to avoid vocal fatigue. 5. Use mask resonance. Mask resonance is the buzz that is created when the sound resonates in the front of your face. It’s the healthiest place for a voice to resonate and also the most attractive to others. Cultivate the habit of speaking with this buzz in order to strengthen your voice and prevent further problems. To find it, once again you can use the “mmm-hmm” to feel the buzz. Or click here for an audio clip that will take you through the steps to find and use it. Finally, if you do experience vocal fatigue that is bad enough to hurt and cause you to lose your voice, stop talking and rest. And see an otolaryngologist if it doesn’t heal after a few days or if it’s a recurring problem. World Voice Day is celebrated on April 16th every year. Find out about events in your area for access to great resources for vocal health. Does The Teacher’s Voice affect children’s language processing and test performance?